Have you entered my Lucky Me, Lucky You Giveaway? A signed copy of John Green’s The Fault in our Stars and a free book of choice from The Book Depository are up for grabs for TWO winners. The giveaway ends tomorrow night… Click HERE to enter! Go to page 77 of your current MS. Copy down the next 7 lines/sentences, and post them as they’re written. No cheating. Tag 7 other victims …er, authors. So, I’ve been tagged three times now… Thanks to fabulous Kate Avelynn for tag #1. If you haven’t visited her blog, I recommend it. Her upcoming debut Flawed is one of my most favorite contemporary YA stories EVER. And thanks to adorable Sara McClung for tag #2. The seven lines she posted for Lucky Seven are absolutely fantastic, and you should definitely check them out! And thanks to Kris Asselin, one of my agent sisters and a lovely contemporary YA writer. Please do check out her sweet Lucky Seven post as well. It just so happens that for my Lucky Seven post, you’re getting seven steamy lines from my WiP, Cross My Heart. I hope you enjoy! When he pulls away, for one horrible second I think it’s over. But then the softest groan escapes him and he walks me backward, presses me against the wall, and opens his mouth over mine. I taste candy cane peppermint on his tongue, mingling with beer. Will I ever know what he tastes like sober, under normal circumstances? I immediately shove that particular musing out of my head, content to focus on the here and now: Max Holden is kissing me like it means something. Like he wants to keep kissing me, forever. And now I get to tag seven friends… You’re up, Tracey Neithercott, Alicia Gregoire, Yahong Chi, Kat Owens, Rebecca Behrens, Kris Asselin (who’s getting tagged back because she promised a snippet from her MG! ), and Taryn Albright! In celebration of Friday the Thirteenth, tell me: Are you the superstitious sort? You know what got me really loving this excerpt is this sentence: “Will I ever know what he tastes like sober, under normal circumstances?”. Love your snippet, my friend. Steamy is right! And so full of emotion. 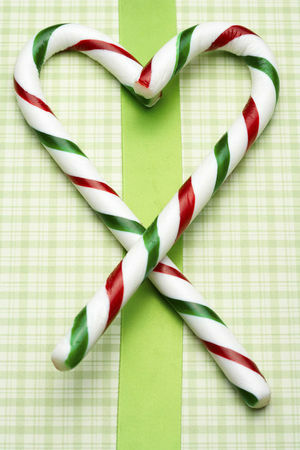 Love the candy canes and beer–so very descriptive! Can’t wait to read more! I also want more than just that one snippet – wow! I got married on a Friday the 13th 🙂 But that was mostly b/c I knew my husband would remember the date…hah. Five and a half years exactly today, so the date must have been good luck! Oh dear gracious. Could you please send me more? NOW. I miss Max and Jillian something FIERCE. Thanks, Alison! Uh, yeah… working away, but it’s slow going. Can’t wait to send you more! Ha! Thanks, Erin! I was super excited when I counted pages and lines and figured out this was the scene! I was a little worried that I’d land somewhere dry (rewriting, so those places still exist! ), but this one worked out well. Great and steamy snippet! Well-played. Okay, dude…I LOVED Jillian’s voice. And now you teased us and I want more. Gah!! Good luck with the rewrite Katy. You’re lucky to have GOOD experiences with the number 13, Rachel. And yeah… I steer clear of opening umbrellas indoors as well. I mean really — what’s the point? 🙂 And thanks so much for your kind words… Posting this excerpt has made me even more motivated to work on my rewrite! So remember when I said I was dying to read Jillian’s story based on pictures? Okay, now I’m completely dead from reading this snippet. Her voice is very engaging, and real! (And I love kissing scenes.) If you ever need another beta. . . . NICE!!! You’re 777 was definitely lucky! 🙂 For me, and your MC!! 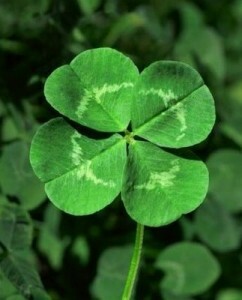 lol I love the word lucky…I named my business using it! Thanks so much, Nicole! Of course I just had to visit the day job tab on your blog… Your photographs are gorgeous! But then the softest groan escapes him and he walks me backward, presses me against the wall, and opens his mouth over mine. Yay! Thanks so much, Cambria! I love this excerpt! It totally makes me want to read more. Thanks, Sara! Kissing scenes are my favorite to write (aren’t they everyone’s? ), so I put extra love into them. And yeah… I was all kinds of superstitious during querying. Craziness! I’m not superstitious… says the girl who drew a tarot card this morning. Haha, sounding good, sounding good! 😉 Though I’m not the biggest fan of YA romance (…a byproduct of what my L post today is all about :P), I do dig the genuine emotion, like Elodie said. You’re so funny about your hockey, Yahong! I love that you’re so passionate about it, and now that I’ve been to a real NHL game, I do see the draw. Ha! I always flip my calendar before it’s time! I’m only superstitious about silly little weird things, but when it comes to writing/querying/subbing, my superstitions come out a little more. Thanks for your kind words about my excerpt! Thanks, Taryn! And I’m so glad you’re going to cave and post a Lucky Seven. Can’t wait to read it!